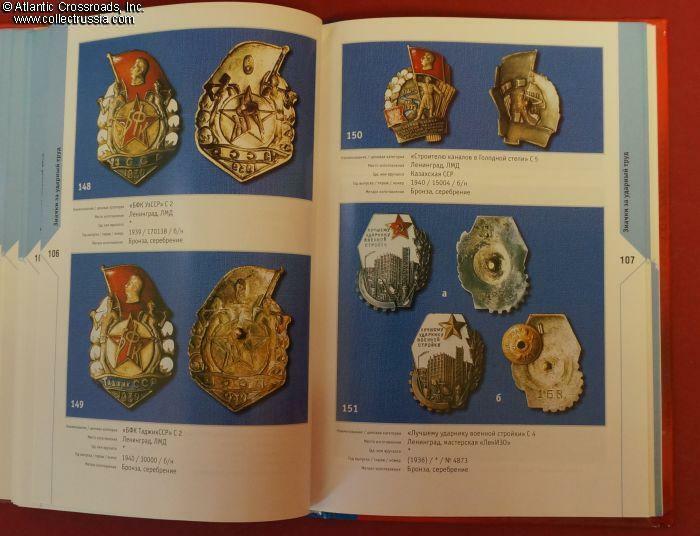 "Breast Badges of the USSR of the Era of Labor Victories, 1920-1940". 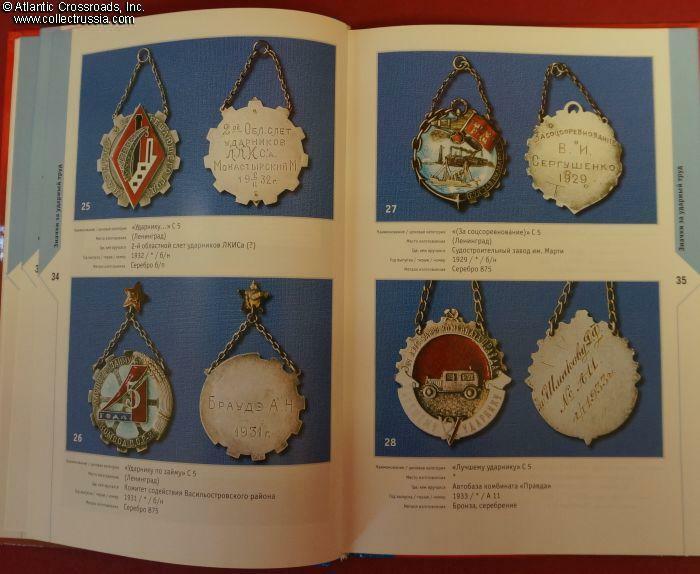 "Breast Badges of the USSR of the Era of Labor Victories, 1920-1940". A. Zsak, I. Kalistratov, V. Voronchenko. C. 2004 Ekaterinburg. "Collector's Library" series. 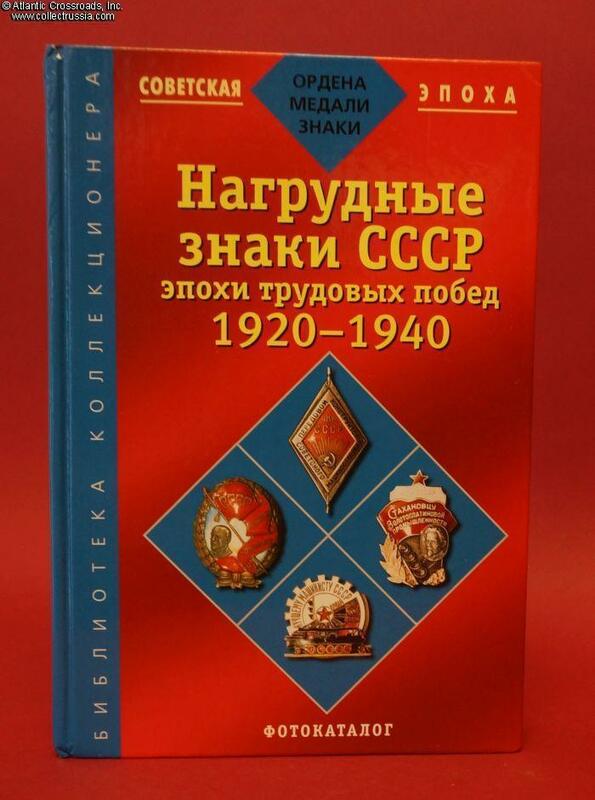 In Russian, relatively big 6 3/4" x 9 1/2" format, laminated hard cover, 207 pp. 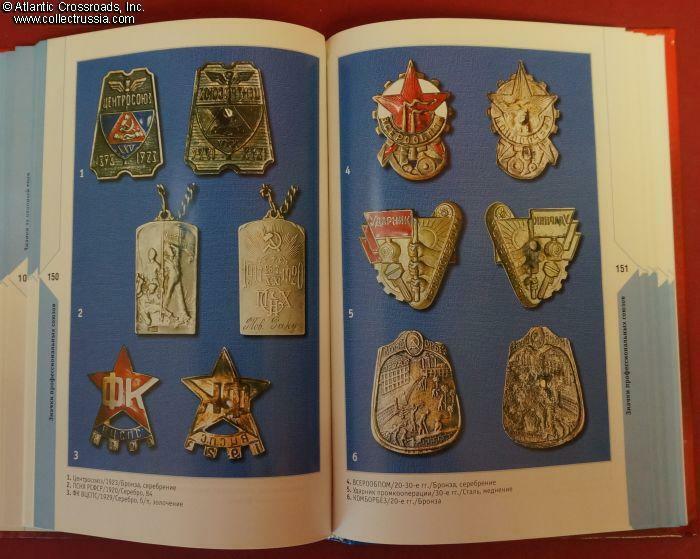 Extraordinary reference, with superb extreme close-up photos of over 350 badges, obverse and reverse. Many are shown here for the first time. 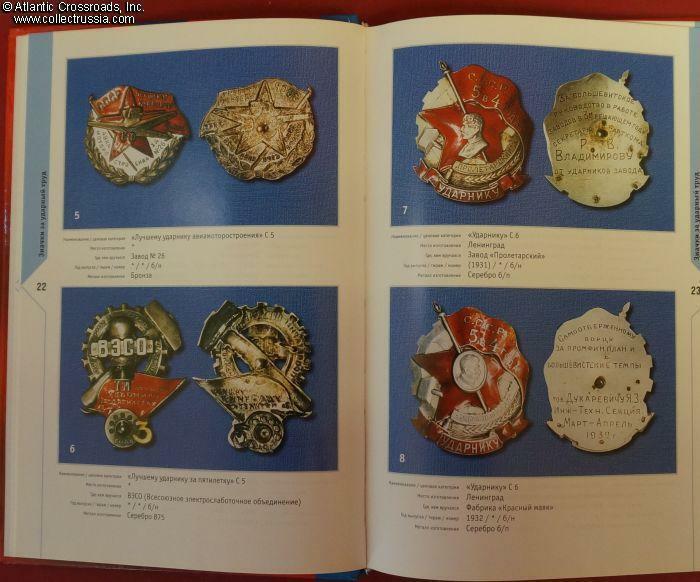 The book also shows many award certificates. 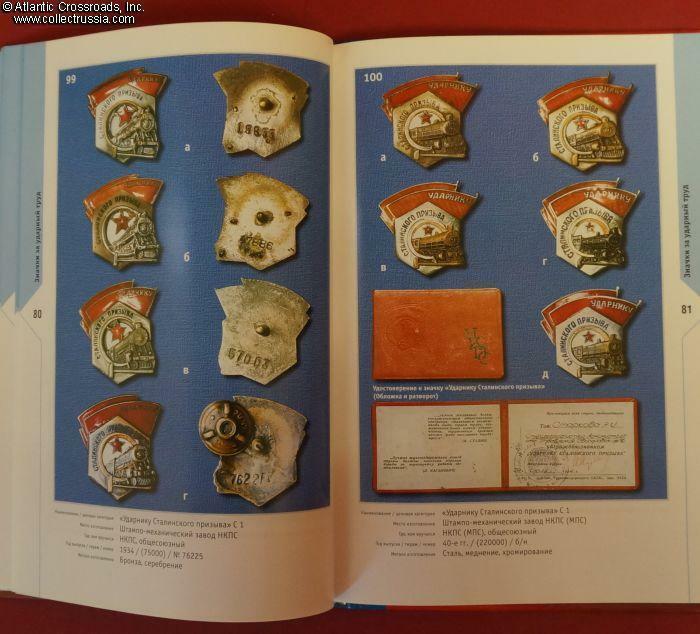 This reference catalog is divided into two major sections: award badges for excellent labor, and the early badges of the Soviet Trade Unions. The latter part had received very little coverage in all previously published literature. The catalog contains detailed information on makers, maker marks and dates of manufacture. It also gives guidance to approximate market prices in Russia. 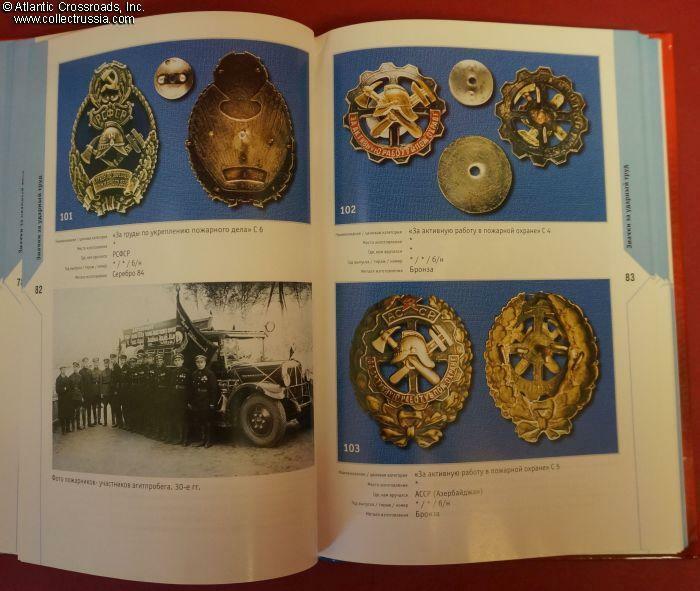 A very useful feature of this publication is a thumbnail index allowing to quickly identify the badge, referencing it to the page with larger photos and description. Highly recommended!